At least that’s what Google is claiming. It seems that the software giant is not content with its current status – it now wants to dabble in the “real” world. 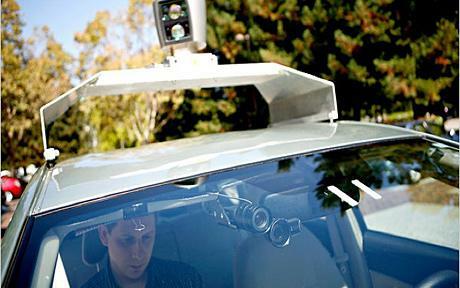 With its new software that is supposed to control cars, Google just might be able to do that. They have recently announced their “super secret” project, which is artificial intelligence software, that will allow cars to drive themselves without the need for a human driver. The idea behind the software is simple enough – the system scans the surroundings and adjusts the car’s behavior accordingly. Needless to say, the implementation is probably hell. The implications for motorists are tremendous! What Google is claiming – that the system can save lives – just might be true! Speaking for myself, I know that I would finally be able to park a car without having to worry about hitting the other vehicles around me. For those whose minds wander while driving, this development is also a boon! Google spokesperson, Sebastian Thrun, is quick to say, however, that at the end of the day, it is still the driver that is responsible for everything. Also, the system is not expected to be available to the general public till at least several years from now. I think I can wait until then. In the meantime, I shall rely on the driving skills and generosity of spirit of other people – oh, and the cab drivers as well.